Nintendo today officially announced Fire Emblem Heroes, its next planned mobile game launching on iOS and Android devices in the near future. Positioned as a tactical roleplaying game in the Fire Emblem universe, Fire Emblem Heroes will allow players to level up popular characters from the series and engage in strategic battles. According to Nintendo, the game features a new, original storyline focusing on two warring kingdoms coming together in a bitter clash. Players take on the role of summoners, calling various historic Fire Emblem characters into epic fights. Each battle map is an 8x6 square designed to fit on a smartphone's screen, where players will engage in tactical fights with multiple allies and enemies on the battlefield. Simple controls are included, such as dragging an ally onto an enemy to attack, and a battle victory is achieved when every enemy on a given map is defeated. Nintendo says that despite the simple controls, Fire Emblem fans will find the battle intensity they've come to expect from the series. 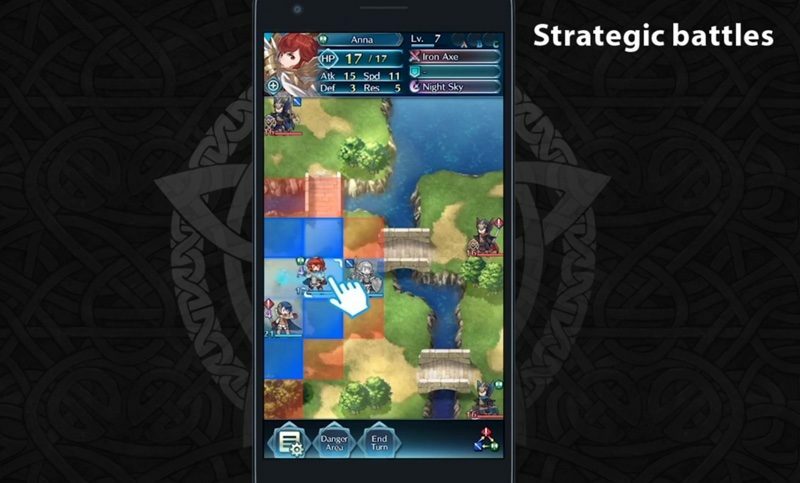 Nintendo plans to make Fire Emblem Heroes free-to-play, with optional in-app purchases. Fire Emblem Heroes will be available on the Google Play store starting on February 2. Nintendo did not announce a specific release date for iOS devices, saying only that the game will be "available soon." Back in 2015, Nintendo promised to release five smartphone games by March of 2017. The company originally said its Fire Emblem game, along with a new game in the Animal Crossing series, would be released in the fall of 2016, but Nintendo did not make that deadline. While we now have concrete information on the planned Fire Emblem game, there is still no word on when we might see the promised Animal Crossing game for iOS. Update: Nintendo has now confirmed that Fire Emblem Heroes will be available on iOS devices starting on February 2. I really want to get info about Animal Crossing! It's ironic that Nintendo made a game that should have been free to play and charged $10 after a demo for it, but then they made a real game that should only have a free demo and made it all free to play. With all due respect, when you do your job for no compensation you can tell app developers that their work has a zero dollar value. Until then, it's absurd to say that ANY app should be free unless the people who created it are coding for charity. Only if Nintendo release mike Tyson punch out for iOS. Whatever flack Mario Run gets, it's actually a pretty good game. Great level design and gameplay mechanics for a mobile game. I faith Fire Emblem will be just as good. If this is a real Fire Emblem game, then I'm really willing to pay for it. Also ironic is that Nintendo is putting Fire Emblem: Warriors, which despite the title isn't a Fire Emblem game, on the Switch, while iOS at least appears to maybe be getting a real Fire Emblem game.